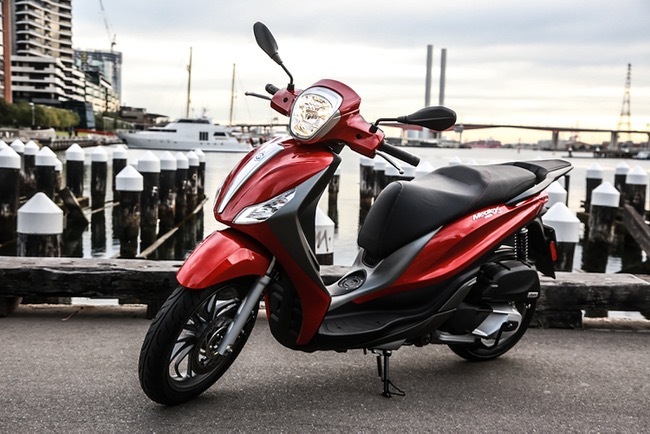 Australia’s best selling Scooter brand Piaggio has released a totally new and innovative new commuter, the Medley 150 i-GET into the market. 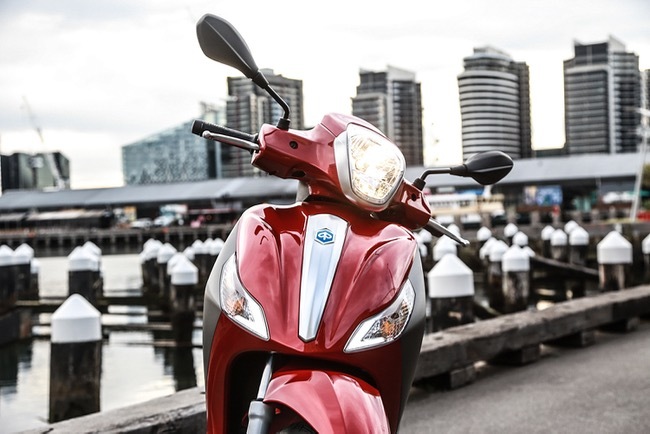 Australia’s best selling Scooter brand Piaggio has released a totally new and innovative new commuter, the Medley 150 i-GET into the market. Medleys dynamic design will satisfy the most sophisticated commuter looking for more than simple transport with a specification list not previously available in the tall wheel, midsize category. As the name suggests Medley brings together multiple elements of style, technology and practicality in a dynamic, lightweight and versatile commuter. 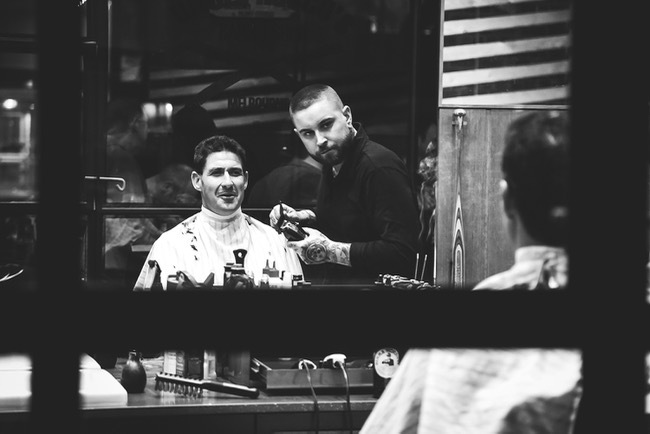 Medleys fashionable styling will appeal to new generation of commuters who are looking for transport that visually reflect their modern cosmopolitan lifestyle. The Piaggio Medley was launched at an exclusive 'Men, Medley and Mo’s' event where the model was presented to the press in a really cool way by going over all the new models features and Peter Stevens Importers HQ in Melbourne before heading to Uncle Rocco's Barber for a feed, beer and haircut. The event highlighted the features and functionality this versatile and stylish model. Practicality with style, something Piaggio do so well. Medley’s totally new design is based around a new light weight chassis and debuts an all new liquid cooled i-GET motor (Italian Green Experience Technology) packed with advanced electronic technology. 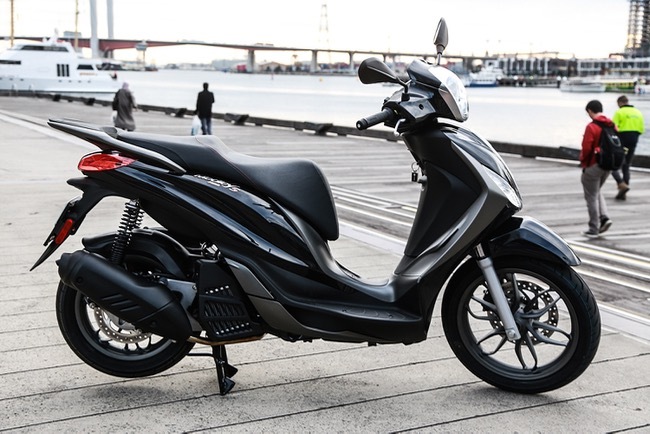 Medley 150 i-GET continues Piaggio commitment to efficient environmentally friendly transport through a new ‘stop / start’ feature designed to stop the motor when stationary and restart instantly at the turn of the throttle. The compact power plant also complies with stringent e4 emission standards making it extremely fuel efficient yet powerful enough to travel easily and comfortably at 100 kph. Front and rear ABS braking provide rider confidence on the road while the electronic anti theft immobiliser deters theft while parked. 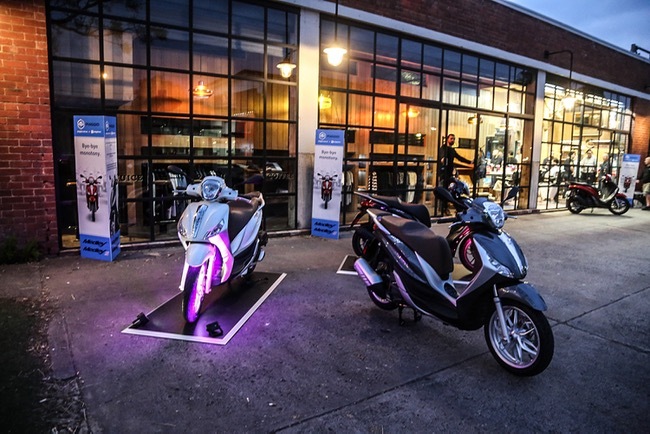 Additionally there is a USB, daylight front and rear led lighting, tilt sensor and detailed analogue dash with digital display to relay clear and functional rider information. Styling is contemporary high wheel design brilliantly and proportionally scaled down from the popular Beverly 350 to provide excellent comfort and manoeuvrability in a more compact design. Riders benefit from the large saddle which conveys a sense of space while a slightly elevated passenger seat provides a relaxed seating position which includes flat fold out pegs and security through a well positioned grab rail. The electric seat release lifts the saddle with spring assist to reveal a huge under seat load space. Riding comfort is an absolute premium with Medley. 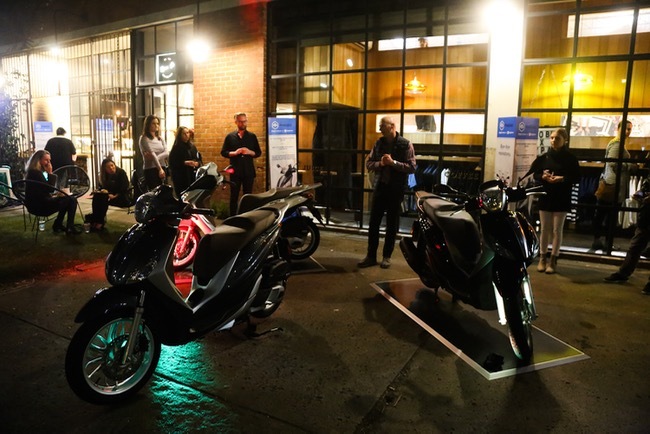 Piaggio invested heavily in the development phase to ensure noise and vibration is reduced to a minimum. On the road large wheels provide stability. Light weight, 132 kgs, combines with a low centre of gravity to provide manoeuvrability and twin rear adjustable shockers provide comfort. The location of the fuel filler in the central tunnel is easily accessed. 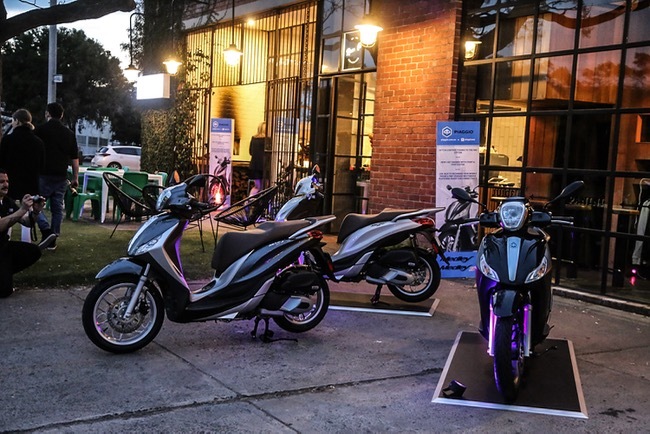 Piaggio dominate scooter sales in Australia and the arrival of Medley 150 i-GET will see it placed between the best selling FLY 150 and the larger Beverly 350. Medley 150 iGET is available in two versions: Standard in Bianco Perla and Grigio Titanium and an ‘S’ version with grey and black trims in Nero Vulcano and Rosso Ibis. A range of accessories include rear top box and screen, Piaggio Multi Media platform and Piaggio sound system will enhance the capacity and experience. Medley 150 iGET manufaturer list price is RRP $5290 plus ORC ($5390 for the S model) and will come with Piaggios 2 year unlimited klm warranty and feature 10,000 klm service periods. For more information and stockist lists go to: www.piaggio.com.au.